LEE Su-jin’s long-awaited Han Gong-ju (2014) follow-up Idol kicked off filming on October 24th. 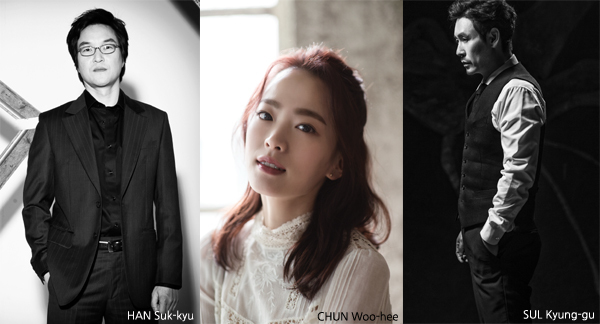 The crime thriller is a star-studded affair featuring SUL Kyung-gu, HAN Suk-kyu and CHUN Woo-hee, who rose to stardom following LEE’s debut. HAN plays a politician who faces a crisis due to his son’s mistake. Meanwhile, SUL plays another father who has lost his son and CHUN is a woman who was there on the day of the accident. SUL is wrapping up a busy year, which saw him star in Lucid Dream, the Cannes-invited thriller The Merciless and the hit serial killer thriller Memoir of a Murderer. He recently earned the Best Actor prizes from the Daejong and Korean Film Critics Association Awards for his part in The Merciless. Following a quiet few years, HAN returned in the hit thriller The Prison this year. He is known for leading classics such as Green Fish (1997), Swiri (1999), The President’s Last Bang (2005) and more recently The Berlin File (2013). CHUN took home several Best Actress and Best New Actress awards for her role in Han Gong-ju and quickly became a household name through appearances in The Piper (2015), The Beauty Inside (2015) and last year’s The Wailing, as well as several major TV roles. Han Gong-ju debuted at the Busan International Film Festival where it received a strong response. LEE’s film went on to be one of the most successful Korean films on the festival circuit, earning the top awards from the Marrakech, Rotterdam and Fribourg International Film Festivals, among other prizes. Vill LEE Film, director LEE’s company, is producing the title while CGV Arthouse will distribute it next year.